Wait for it … you ready for this? I have been welcomed by my peeps! 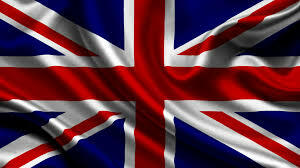 At 10:10 a.m yesterday morning, I was viewed 10 times in (drum roll) Great Britain. If I can do that in one day, what might I accomplish by the end of this blog? I decided I better do a crash course to be ready for my British followers, so I did some research, read an article on the internet called “50 Awesome British Slang Terms You Should Start Using Immediately” (brilliant, right?) I will be trying them out on my readers from time to time to get used to the jargon. Feel free to correct me if I become a bit of a damp squib. See, if I had to guess what that meant, I would have said something from the sea. Turns out that’s it’s something that fails ignominiously to satisfy expectations; an anti-climax, a disappointment. Let’s get back to my topic, long line of talkers … (that’s right. I remember now) I was going to tell you about my mom. My mom could talk anyone under the table, maybe except her brother, Ken. In her younger days … before we had to remove the phone from her room because she insisted on calling 911 every time she hiccupped (I wish I was exaggerating) seven hours later returning from the emergency room with a clean bill of health in hand, along with the ambulance bill, we decided the next time we changed her room, it just did not come with a phone. We had a few discussions about that, but I assured her she could use the home’s phone any time, and that seemed to do the trick. Problem solved. Breathe, Sue, and finish your original thought (ADD makes for interesting conversations, it stretches the listener’s abilities. Trust me, I’ve been stretching Rick’s abilities for years). Years before when my mother did not have dementia and lived on her own, she would call and talk “at me” as opposed to “to me.” There is definitely a difference. These one-way conversations would go on for anywhere from 30-60 minutes. My mom obviously needed to talk, and as hard as I tried to interrupt her at 15-minute intervals to say there was something I needed to do, make dinner, drive the kids here or there, work, whatever, she simply wouldn’t hear it. So I figured out a system that worked pretty well. I would lay the phone down for 10-15 minutes intervals and get my work done. I would pick up the phone, say “uh-huh” and put the phone right back down. She never skipped a beat, and we both were the winners. So when I say I’m a talker, I guess I truly do come by it naturally. Life certainly challenges us in so many ways with our loved ones. But as I tell this story, it makes me smile and miss my mom. And see, here’s where I should have been starting to actually finally tell you about my yoga meet and greet, but instead my writing time is coming to an end tonight. It’s a more serious topic anyway, so today just needed to be a celebration of my visit to the UK and a nod to my mom. Thanks, Mom, and Namaste. Hi Sue…This is going to be fun! With my English ancestry I will appreciate learning new terms from you. Keep the blog rolling! I didn’t know you were English! Bloody fabulous!